I've been on a bit of a meringue mission in the past few days. We had an excess of egg whites hanging about in the fridge after my pasta making mission and the lovely Spiced Apple Cake. I made a pavlova for some friends (I always manage to make pavlova in situations where I can't photograph it but I will post one eventually), but I still had another four egg whites sitting there. I found this recipe while browsing through Ottolenghi's Cookbook. It was the first thing that really jumped out at me. 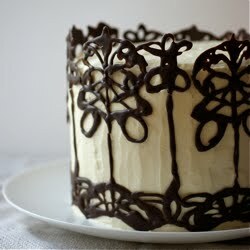 As you will know if you read this blog regularly, I'm a bit mental about brown sugar. 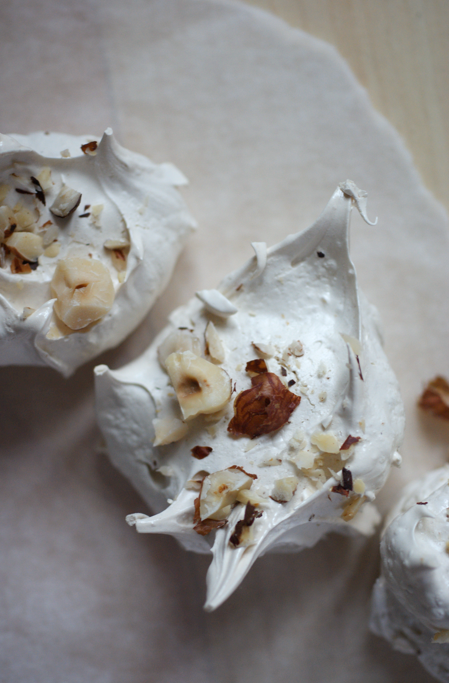 I've made meringues with golden caster sugar before, but this is just so much better. I'm very excited about Swiss meringue generally - next on my list is Italian. I made these in two sizes: the original large ones and some miniatures. I prefer the small ones - I can't quite deal with the sugar overload of a big one. Another revelation was the cinnamon. 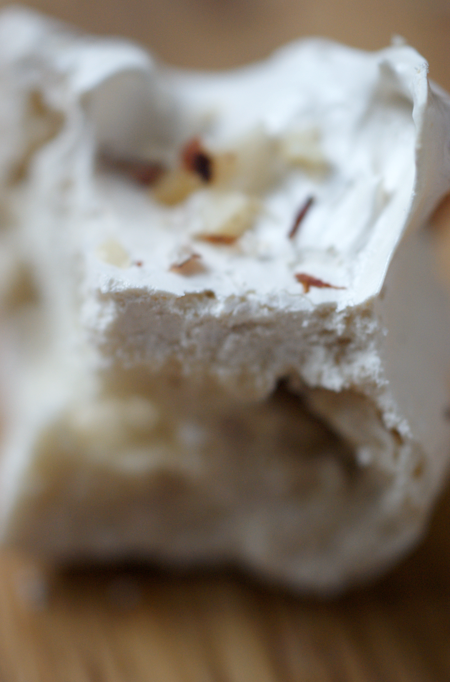 It hadn't occured to me that you could give meringue such distinct flavour. Now I think about it, it's just like flavouring macarons or making chocolate pavlova. Still, it opened up a whole new world of ideas. Those moments of expansion are one of my favourite parts of cooking. There's something so incredible about literally feeling your horizons expand to include a new technique or ingredient. 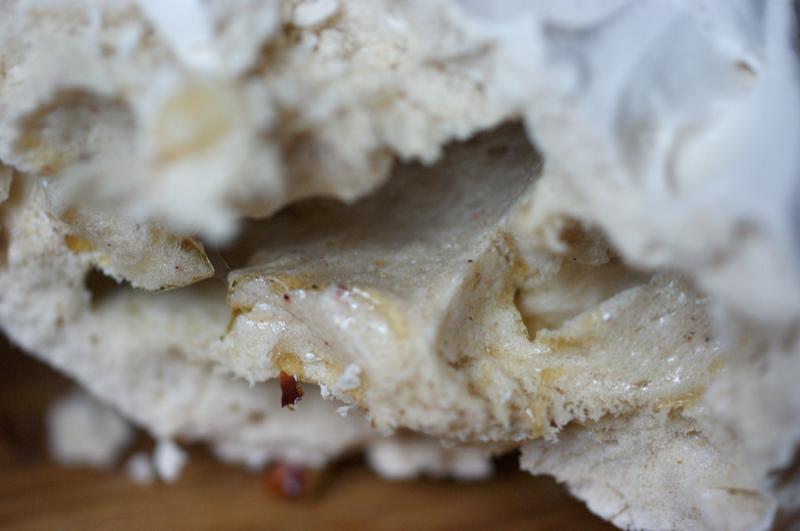 I got a little bit overexcited about taking photos of the inner caverns of the meringues below. Though technically they're not the best photos, I like them. These taste fantastic and incredibly complex considering the short ingredient list. Nutty, rich, sweet and spicy. 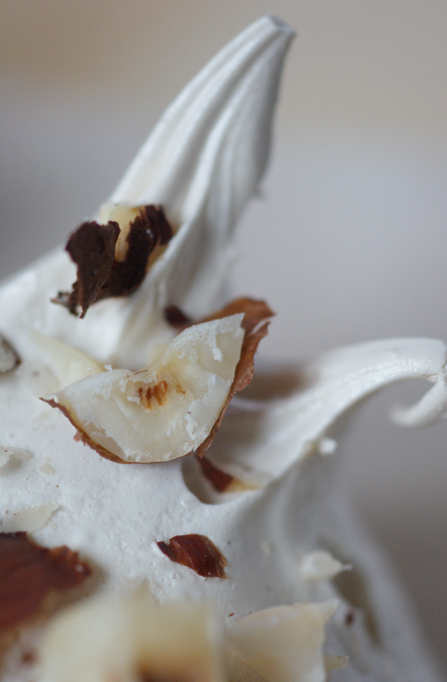 There's the crisp outside that snaps to reveal the soft, pillowy but also chewy insides which is all topped off by the crunch of the hazelnuts. I can't describe these without going into adjective overload. Preheat the oven to 110C. Line two baking sheets with baking parchment. Pour a few inches of water into a medium saucepan and bring it to a simmer. In a heatproof bowl, mix the egg whites and sugar. Place over the saucepan and heat for about ten minutes or until the sugar has totally dissolved (rub a little between your fingers - it shouldn't feel grainy). If you have a thermometer, it should reach 40C. Get your stand mixer ready while it heats with the whisk and bowl attached. Pour the mixture into the bowl and whip on high for 6-8 minutes or until very thick, glossy and cool. It should hold shape. Gently fold in the cinnamon. 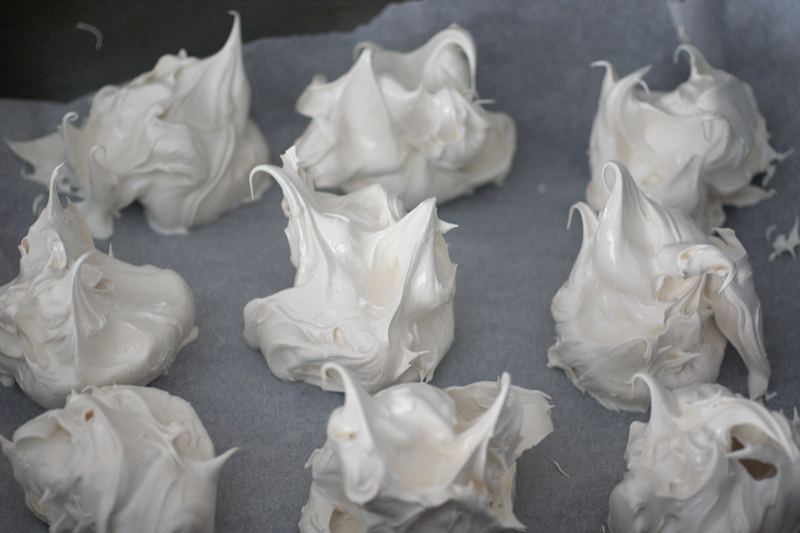 Use two spoons to create either big blobs or small blobs of meringue on your baking sheets. Sprinkle with the chopped hazelnuts. Put in the oven for about 70 minutes for small ones and 90 minutes for big ones or longer if you like them crisp in the middles. Check the base is firm and the outside is crisp. Leave to cool in the oven. Can be stored in a dry place for up to a week. such beautiful meringues! i love the flavours in this recipe! My boyfriend's mother gave me this amazing recipe for a dense caramel cake and I'll be stuck with tons of egg-whites when I'm done. I've put off baking the cake for fear of eating egg-white omelets for a week. You've saved me from that torture! I'm definitely trying this recipe. i have similar mental issues about brown sugar too! this looks and sound amazing! i have to try this! I love their shape! They look really crunchy and onctuous in the inside yum! 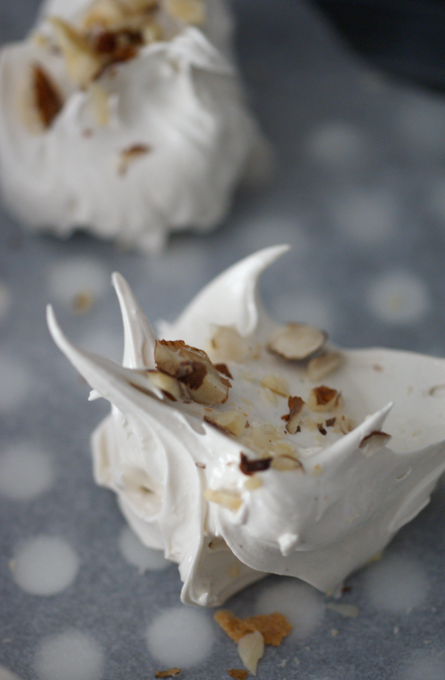 I made these yesterday to use up some of my frozen egg whites, and some cream, and had to thank you. Wow! They are fantastic! You are right about the risk of superlative / adjective overload! Mine were browner than yours - possibly due to extra cinnamon - and incredibly chewy. Delicious sandwiched together with cream and blueberries. Hubby very happy! Wifey too! Will definitely be doing them again. Anyone else reading these who loves cinnamon and hazelnuts - make them! I just got these out of the oven! I used your basic recipe but added 120g of toasted hazelnuts and no cinnamon but they came out amazing! so easy! 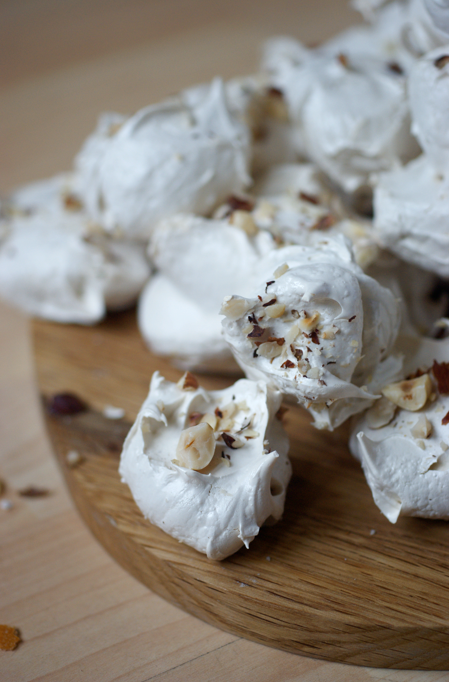 i have never made good meringues before, they have always been all weepy and gross. also, its so nice you are from oxford! I was born here and thought it was a culinary wasteland but obviously not!